How Long Is an Appraisal Good for When Shopping for a Mortgage? You’ve found the ideal home, made an offer the seller accepted and now you must go mortgage shopping. Before a bank will approve your mortgage application, it will conduct an appraisal of the property and issue a bank appraisal report. The appraised value reflects what the house should bring under current market conditions. A lender certainly isn’t going to approve a mortgage for more than a home is worth. Keep in mind there’s also an appraisal expiration date. Because the real estate market fluctuates, an appraisal performed too far in the past may no longer reflect current market value. While the lender orders the appraisal, someone eventually pays for it at the closing. That’s a negotiable item between the buyer and seller. Appraisal costs vary by region, but seldom exceed $500. If the appraisal requires a great deal of work, the price will rise. An appraisal's "term of validity," in real estate parlance, generally lasts between 60 and 120 days, depending on the type of loan. An FHA loan appraisal is good for 120 days, while a VA home loan appraisal is good for six months. Why is a home appraisal necessary, and what exactly goes into this appraisal? The lender must ensure it's not loaning more money than the property is worth because the house itself is collateral for the loan. If the buyer defaults on the loan, the house goes into foreclosure, and the lender wants to sell the property and recoup its money. Without an accurate and timely appraisal, the lender jeopardizes the ability to get the money back should this worst-case scenario ensue. The appraisal is performed by a licensed appraiser. The result is the fair market value of the home at that point in time, as determined by this unbiased professional. The appraiser must know the local real estate market. A complete visual inspection of the property’s interior and exterior is made, with notes made on the condition. 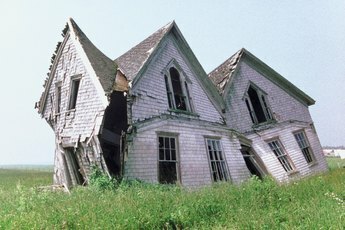 If there are repairs needed, these are included in the appraisal report. Most appraisers will use Fannie Mae’s Uniform Residential Appraisal Report, which includes a description of the neighborhood, zoning classification, whether the property is in a Special Flood Hazard Area and any adverse conditions found on the property, such as hazardous materials. Other factors affecting the appraisal include the property’s square footage, number of bedrooms and bathrooms and amenities affecting the value, such as a pool, entertainment center or a new kitchen. The appraiser then checks the comps or comparable sales within the past few months. If there haven’t been any comparable sales in that period, or just one or two, the appraiser may go back six months or more. These comps should compare apples to apples, or similar houses in the area. If the appraisal comes in at the sales contract price, or above it, the lender will proceed. If the appraisal comes in lower than the contract price, contingencies in the contract will void the agreement. Should the buyer still want to purchase the property, they can negotiate with the seller for a lower price. If the seller refuses, the buyer might agree to make up the difference in the contract price and the appraised price in cash, but this is unwise. Even if the buyer intends to stay in the house for a long time, life happens, and they will unlikely receive the amount paid for the property if they have to sell sooner than later. How long an appraisal is considered market value depends on lender policy. Generally, an appraisal longer than four months old or 120 days, is no longer considered valid by lenders. It’s not uncommon for some lenders to allow just two-to-three months or 60-to-90 days. The real estate terminology for this period is “term of validity.” If home prices are heading south, expect the term of validity to become shorter. On the other hand, if home prices are on the upswing, the lender may prove a bit more generous, as they are unlikely to lose money. Many people opt for Federal Housing Administration mortgages since they require only 3.5-percent down payments compared to a traditional lender’s 20 percent. Those with lower credit scores may also qualify for an FHA loan. Before 2010, FHA considered appraisals valid for up to six months or 180 days. The housing crisis put an end to that policy. Currently, the FHA appraisal expiration is 120 days, although extensions are granted under certain circumstances. The lender may extend the appraisal for an additional 30 days if the borrower’s application was approved, or HUD, which oversees the FHA loan program, issued a document known as a Firm Commitment before the original expiration date. A Firm Commitment guarantees HUD will issue the mortgage to the borrower based on specific terms and conditions. However, if the appraisal has expired and the lender did not approve an extension, all is not necessarily lost. It is possible to conduct an appraisal update, and that subsequent update is valid for 240 days. That length of time for an updated appraisal is granted only under special circumstances. However, an appraisal update is not simply a matter of a borrower requesting such an update to obtain a mortgage. Such updates are only permitted under certain conditions. When an FHA loan is more than 120 days old with no extension, an appraiser must submit Appraisal Form 1004d, the Appraisal Update and/or Completion Report. The appraiser must inspect the property’s exterior and review recent market data, including comparable properties sold, to determine whether the property’s value has dropped since the prior appraisal. If the value has not declined, the lender can continue with the mortgage process. If the value has declined, a new appraisal is necessary. It is preferred that the original appraiser conduct the updated appraisal, but if that isn’t possible, substitute appraisers are permitted. However, if the same person is not conducting the updated appraisal, she must review the first appraisal and determine whether the original appraiser’s opinion was valid as of the date of their report. For future reference, the lender must make clear in the applicant’s file why an original appraisal was unused. If you’re a veteran applying for a VA home loan, you’re luckier regarding appraisal validity. The VA allows 180 days before an appraisal expires. Even if an adjustment occurs in the contract during this time, it will not affect the appraisal. However, not all dwellings qualify for VA loans. Properties experiencing issues with drainage or dampness are ineligible, as are those with problems relating to the roof, foundation, heating, windows or electrical systems. That means veterans can’t purchase so-called “fixer-uppers” with a VA home loan. What happens if a veteran decides not to purchase the property after the appraisal comes in, but a good friend who is also a veteran decides they want to buy the house? Before 2012, another appraisal wasn’t required if the original appraisal was within this 180-day time frame. That is no longer the case, and the lender will conduct a new appraisal with the new buyer’s name on the document. Courthouse Direct: How Long are Property Appraisals Valid? FHA News and Views: When Does My FHA Appraisal Expire? Can You Get a Home Equity Loan Without Having an Appraisal Done? Who Holds the Deed to the Property When a Satisfaction of Mortgage Is Filed? 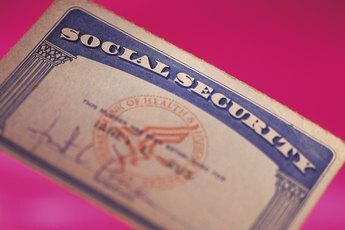 How Do I Get a Copy of a Social Security Earnings Report? Where Should You Start First When Renovating a House? 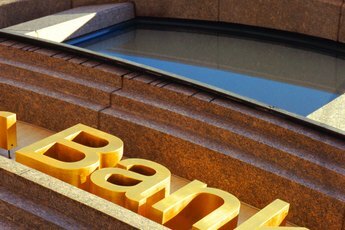 What if You Disagree With a Bank Appraisal?